Update 2/12/17: Added Rich Larson's Innumerable Glimmering Lights, which bumps his stories to 14 and score from 26 to 32. 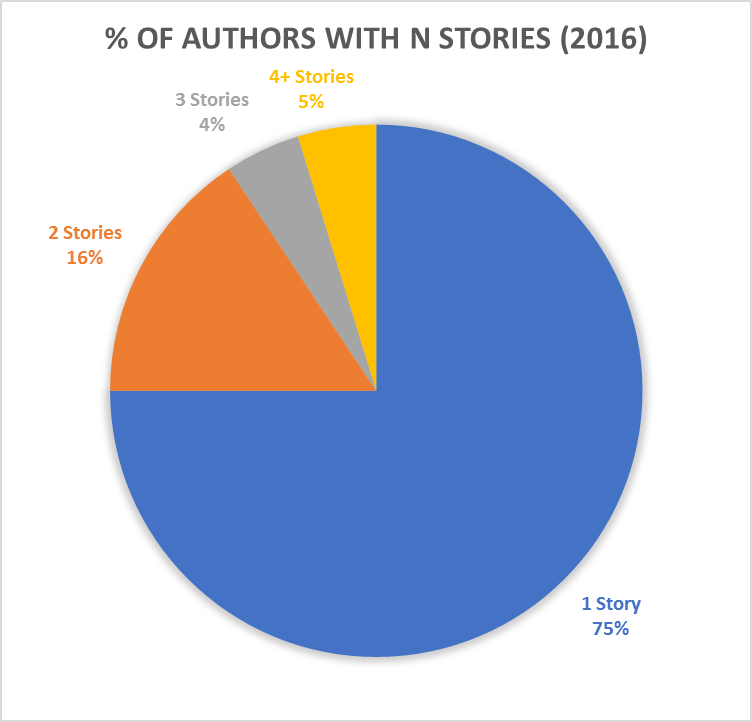 Update 2/9/17: Added pie chart to show % of 568 authors with 1, 2, 3, 4+ stories reviewed by RSR in 2016. 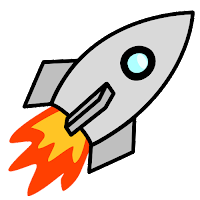 Here are Rocket Stack Rank's 35 most prolific science fiction & fantasy short fiction authors of 2016. Click on their names in the two tables below to see their stories, and use the Score and AvgScore columns to try some authors you might not have read before. From this set of 818 stories, a writer is considered prolific if they wrote 4 or more stories or 40,000 or more words (a novel's worth) of stories. Twenty-seven authors had 4 or more RSR-reviewed stories (Table 1) and 16 authors wrote 40,000 or more words reviewed by RSR (Table 2), with 8 authors meeting both criteria (yellow highlighted rows), resulting in 35 prolific authors. The tables also show a Score for each author, which is calculated from story recommendations (as described in the 2016 Best SF/F Anthologies post), and AvgScore, which is the Score for all the author's RSR-reviewed stories divided by the number of Stories. To sort a table by Score or AvgScore, click the ⬍ next to the column heading.